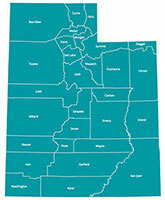 The Utah Cancer Control Program (UCCP) is a program within the Utah Department of Health. The UCCP partners with local health departments, community clinics, hospitals and healthcare professionals, community-based organizations, worksites, schools, and policy makers to provide evidence-based strategies to reduce cancer risk, find cancers at an early stage, improve treatment, increase the number of individuals who survive cancer, and improve the quality of life for cancer survivors. To learn more about cancer in Utah and Utah’s efforts to reduce the incidence of cancer, click here for the State Cancer Plan. The goal of the Utah Cancer Control (UCCP) Breast and Cervical Program is to increase the number of Utah women who receive recommended breast and cervical cancer screenings. The program provides education to help Utah women learn how they can prevent cancer, understand the importance of early detection (finding cancer early), and link them with treatment resources. The UCCP provides breast and cervical cancer screenings to Utah women aged 40-64 who are low income, uninsured, or underinsured. The program partners with local health departments, federally qualified health centers, and community clinics to provide Utah women access to affordable cancer screenings. To improve access to cancer screening, Congress passed the Breast and Cervical Cancer Mortality Prevention Act of 1990. The UCCP’s Breast and Cervical Program is funded by a grant from the CDC’s National Breast and Cervical Cancer Early Detection Program (NBCCEDP). The BeWise Program provides cardiovascular health screening and health coaching to eligible Utah women. The program partners with the Utah Cancer Control Program to link women to screening for breast and cervical cancers. The Utah Comprehensive Cancer Control Program (CCC) is dedicated to the idea that all Utahns deserve equal opportunity and access to achieving good health. CCC supports the Utah Cancer Action Network (UCAN) to bring together individuals, cancer survivors, health professionals, hospitals, policy makers, and other organizations interested in preventing and controlling cancer. 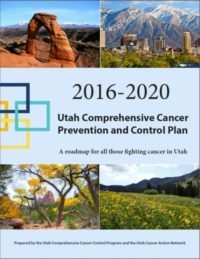 In partnership with UCAN, CCC developed a state-wide cancer prevention and control plan that guides our efforts in addressing priority cancer issues in Utah. CCC supports UCAN members and community organizations in successfully implementing this plan and developing sustainable and impactful interventions to alleviate the cancer burden in Utah. The Utah Cancer Genomics Program receives grant money to increase the number of people who complete a family health history, make access to cancer genetic services more available, and to educate the public and healthcare professionals about hereditary cancers. The goal of the Cancer Genomics Program is to reduce breast, ovarian, and colorectal cancer by increasing genetic services to people who have inherited genes that may put them at a higher risk for these cancers.